File photo of North Bay Fire Department haz-mat team. 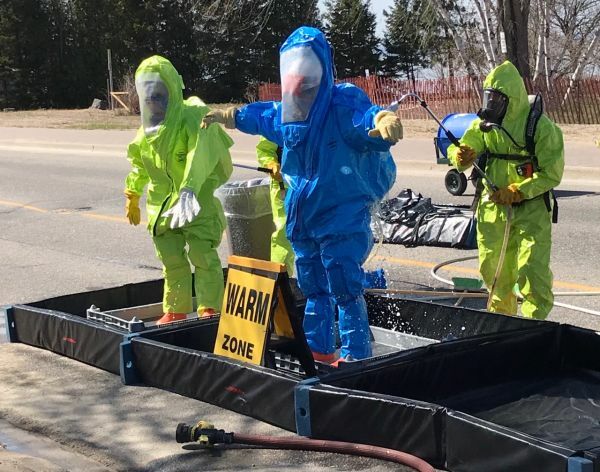 The hazardous materials squad from the North Bay Fire Department is south of Sudbury cleaning up a spill on Highway 69. Fire Chief Jason Whiteley says the local crew is on site after the province requested its help because Sudbury does not have a haz-mat team. 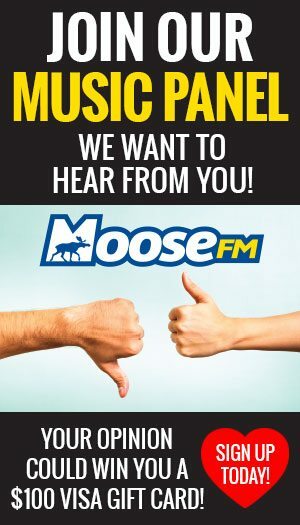 The spill is the result of a tractor-trailer collision earlier on Thursday at the Key River Bridge, about an hour south of Sudbury. Whiteley says what’s known at this time is the transport was hauling corrosive material, although the exact substance hasn’t been identified yet. 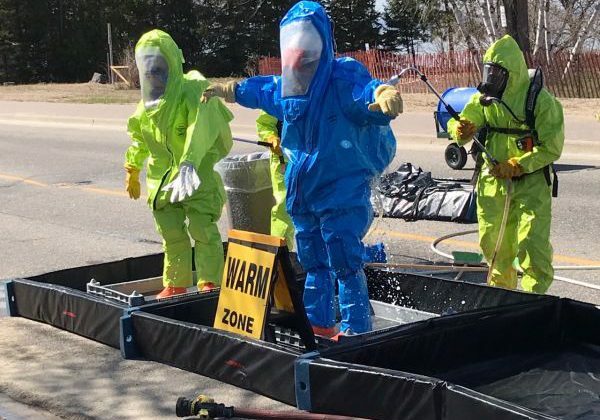 There are nine haz-mat teams spread across Ontario, including the unit in North Bay, and they respond to hazardous spills whenever local resources are overwhelmed or there is no team in place to the proximity of any spills.